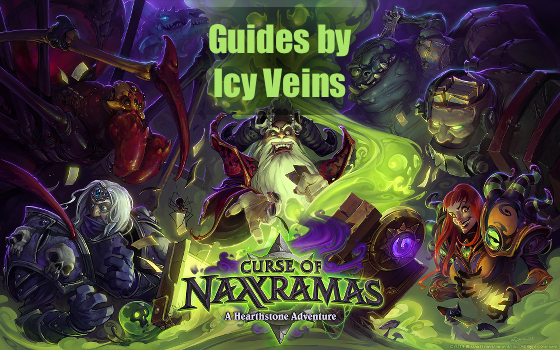 Curse of Naxxramas is a single player campaign for Hearthstone, through which you can unlock 30 new cards and a unique card back for your collection. The campaign can be accessed by players who have unlocked all 9 heroes. Each individual wing costs $6.99 / €5.99 / £4.99 or 700 Gold, provided that you already own at least the first wing. If you do not, then it is no longer possible to buy any of the wings. In each wing, you will fight 2 to 4 unique opponents (or bosses), who use normal cards, but have overpowered Hero powers. Defeating a boss rewards you with 2 copies of a new card. Defeating all the bosses in a wing rewards you with a new legendary card and unlocks the Heroic mode of the wing where the bosses have even more overpowered Hero powers. Finishing all of the wings in Heroic mode will grant you a unique card back. The Curse of Naxxramas also offers class challenges. Each class has one challenge to complete and it consists in playing against a predefined boss of Naxxramas with a predefined deck. Winning the match grants you a new class-specific card and unlocks the craft of the golden version of the card. 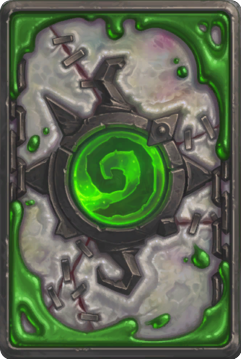 Defeating all the bosses in Heroic mode will reward you with a special card back, shown below.